Taurus – That’s No Bull! The second sign of the zodiac, Taurus (the Bull) is a fixed Earth sign and known for its practicality, thrift, and steadiness. But there’s more to this sign than just being grounded. Since Taurus is ruled by Venus, the planet of love and beauty, those born under this sign, between April 20th and May 21st, are sensual and often make great lovers. In the non-romantic sense, they are devoted to their friends and family and can be very generous. At work, Taurus will go the extra mile without seeking the glory. Naturally thrifty, they’re the perfect person to manage money and accounts. This doesn’t mean Taureans are boring accountants in khakis! Taurus has a gift for fashion and creative endeavors and can often be found in the world of haute couture, as well as in the ranks of famous musicians (among them Bono, Stevie Wonder, and Adele.) Fields such as architecture and music management are perfect for the Bull, who appreciates a blend of the practical and indulgent. Taurus has to be careful, though, not to become too materialistic or possessive. A Taurus taken to the extreme might be the modern-day equivalent of a dragon hoarding treasure in her dark cave. Just like the bull itself, a Taurus can be an excellent partner or parent. They are steadfast, more so than the Air, Water, or Fire signs, and love a stable home environment. If you’re looking for a partner who’s unlikely to stray, a Taurus is an excellent bet. On the other hand, stubbornness can be a big problem with this sign. Ever tried moving a bull when it wants to stand in one place? These are people who don’t like change and usually they are indifferent to the latest fads. They are, however, among the most loyal signs in the Zodiac, and will do anything for their loved ones. A key word for the Taurus to learn might be initiative. Like the bull, Taurus can be somewhat lazy, unless properly motivated. If paired with a more active sign, such as Aries or Gemini, the Taurean might learn to get out of the house more and have adventures. At the same time they might be able to teach their partner the value of patience, hard work, and thrift. If you’re wanting to attract a Taurus, go for romance. Old-fashioned chivalry and manners will go a long way to impress them. In our modern world, many people overlook the value of courtship. Not Taurus! Food is also an aphrodisiac to sensual, pleasure-loving Taurus. Many people might look at Taurus and think they are boring. The thing is, the Taurus will outlast almost anyone in terms of tenacity, strength, and patience. Long after others give up, they will stay at it. 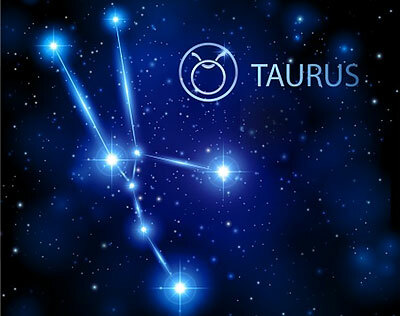 It’s another quality we can learn in a world that demands instant gratification, so consider getting to know a Taurus when looking for a new friend or business colleague. The Bull’s stamina will last all day whether in the boardroom… or the bedroom.